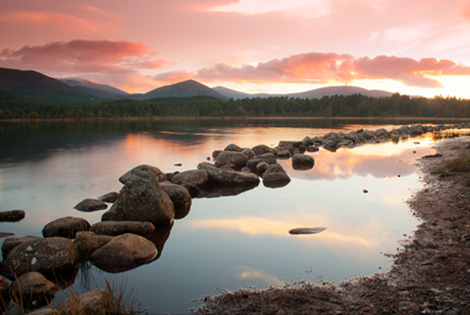 The Cairngorms National Park is Britain’s largest national park. 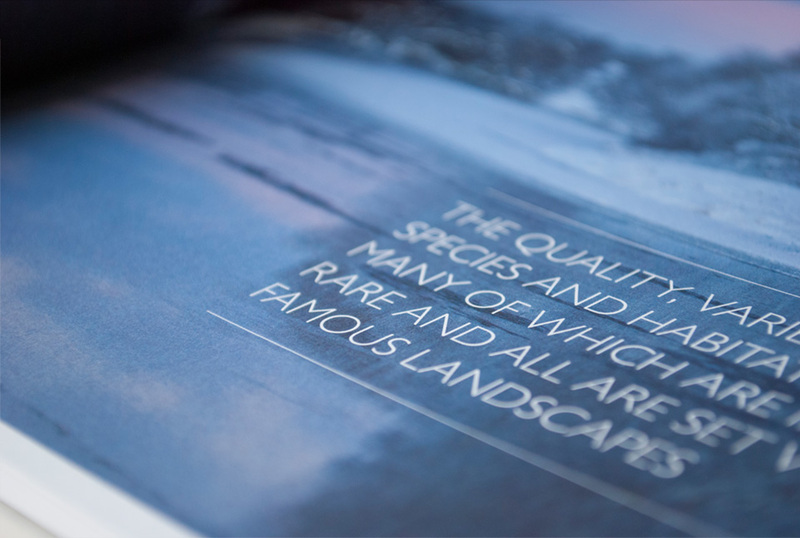 It is a special place for wildlife and is home to a quarter of the UK’s endangered species. Throughout the park, many organisations and individuals are involved in important conservation work. 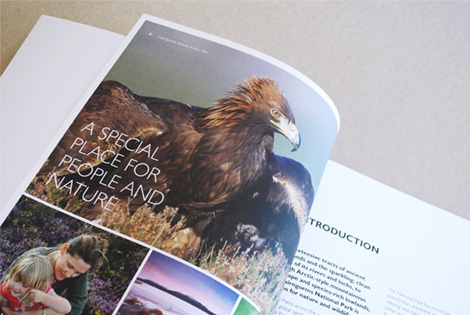 To co-ordinate this activity the National Park Authority launched ‘Cairngorms Nature’ and commissioned us to design the first five-year action plan. 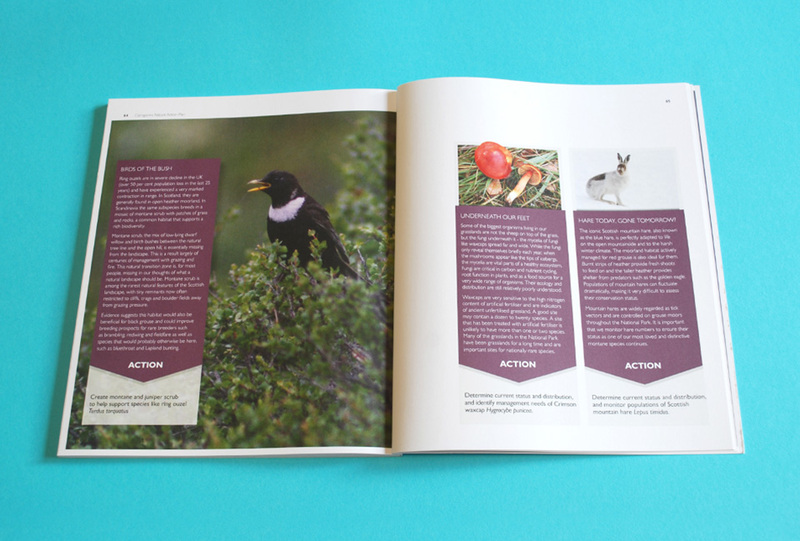 This important publication communicates the Authority’s conservation priorities across the park and encourages organisations to become involved and work in support of these objectives. 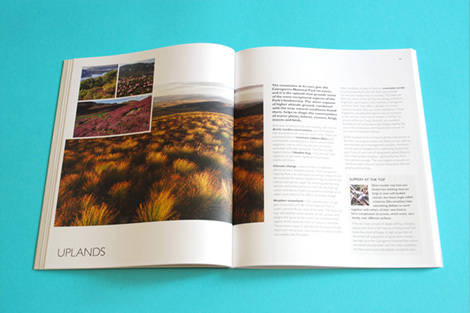 Our design presented their vision for the park through breath-taking landscape and wildlife photography. 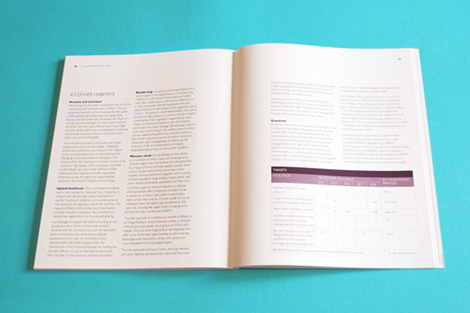 This was married with aspirational copy that set out the objectives of the strategy, the importance of working in partnership and the benefits of what would be achieved.